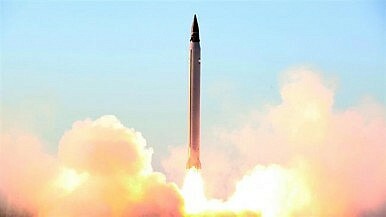 Iran has recently successfully test-fired a new precision-guided, long-range surface-to-surface missile, Iranian state TV reported on Sunday. The study estimates that the missile has a range of 1,700 kilometers (1,056 miles) and can carry a payload of 750 kilograms (1,653 pounds). The Emad is also supposedly road-mobile and can be fired from a mobile launcher. Furthermore, the report points out that Iran might be working on a nuclear warhead for its Shahab-3 missile arsenal, which would make it likely that the Emad could also be fitted with a nuclear warhead. The Shahab-3 itself is purportedly based on the North Korean No Dong 1 missile design. ”The original Shahab 3 missile is nearly identical to the North Korean No Dong 1 missile, and almost certainly is based on technology and parts from North Korea,” according to the website Missile Threat. Should Iranian statements prove correct, Tehran would for the first time be in possession of a precision-guided missile with the range to hit Israel. The abilities and specifications of the Shahab 3 are largely based upon foreign speculation and aggressive Iranian diplomacy. Iran is known to rename missile programs, exaggerate about missile performance abilities, and declare that untested technologies are operational. It is in particular highly doubtful that Iran has mastered the maneuvering reentry vehicle technology. Thus statements by Iranian state TV that the Emad is “capable of scrutinizing the targets and destroying them completely” should perhaps be taken with a grain of salt.